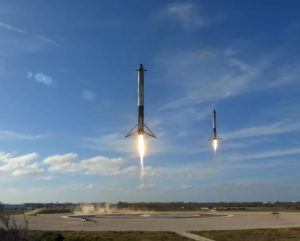 “Three…two…one.” A cloud of smoke erupted as the engines ignited and the Falcon Heavy lifted into the air with Elon Musk’s Cherry Red Tesla Roadster in tow. After about eight minutes, two of the three boosters floated back down and landed safely. Sonic booms rattled everything around me and everyone erupted into applause like their favorite team just won the Super Bowl. 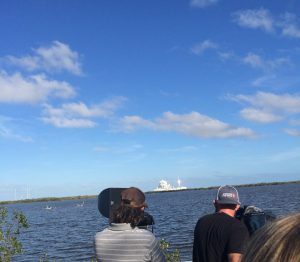 The moment was surreal as we watched the successful launch and landing of the Falcon Heavy from Launch Complex 39A, the same launchpad that launched the moon missions. 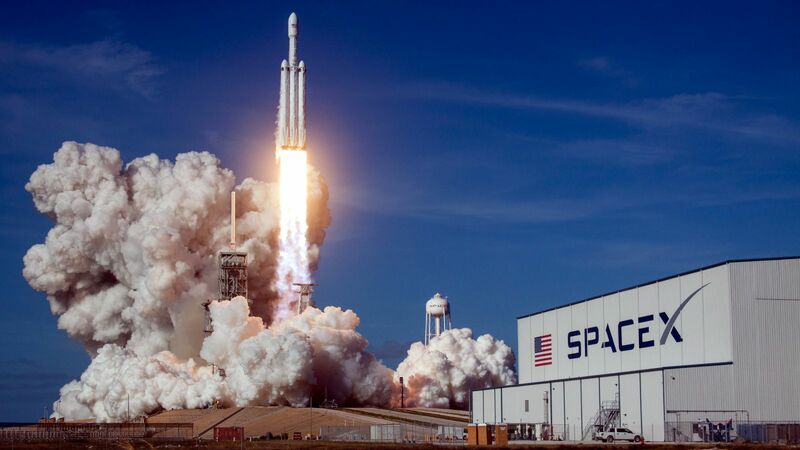 The Falcon Heavy is the most powerful rocket since the Saturn V. With more than 5 million pounds of thrust and a total of 27 engines, it has the ability to lift nearly 141,000 pounds into orbit, which is greater than a fully loaded 737 jetliner. I watched this spectacular machine blast off at the Apollo/Saturn V Center at Kennedy Space Center Visitor Complex, one of the closest public viewing locations just a few miles away from the launchpads. Another prime viewing location is next to Space Shuttle Atlantis at the visitor complex. These locations offer bleacher seating and live launch commentary as well as restrooms and dining. Bring sunblock or other items to protect you from the sun. Trust me, my farmer’s tan is not pretty. Good thing it’s winter in Maryland! You will be sorry if you forget to bring a camera to capture this bucket list opportunity! However, do not watch the launch through your camera lens. As the final seconds to lift off passed, I positioned my phone and kept my eyes on the launchpad. My finger kept tapping as the rocket blasted off but my eyes never left the rocket. It’s important to live in the moment for experiences like this! There is always a chance that the launch will be delayed or scrubbed, which means you might be doing a lot of waiting around. In order to stay comfortable, bring blankets or chairs. As you can imagine, rocket launches are extremely popular, so be sure to allow yourself enough time to park and board the buses that will transport you from the visitor complex to the viewing locations. To avoid getting hangry, bring your favorite snacks or purchase food from the visitor complex. No one likes you when you’re hangry! Drink water so you stay hydrated in that Florida sun. Click here to stay up-to-date on the next launch. Comment below with additional tips for viewing a launch or let me know if there is an upcoming launch that you are excited for!